The first book is by Charlie Peacock, a Christian musician who has written a primer on the Christian faith. What I like about Peacock’s approach is how he lays out “God story” as found in scripture and then encourages us to incorporate our own stories into God’s. He reminds us that like it or not, we all create a story! Peacock criticizes Christians for claiming too much knowledge about God. Instead, we take what we know and use it to frame how we share God’s story and to see how God is active in our lives. Then, out of gratitude, we act. Peacock also talks about how God’s story should help us in our own relationships with others. He’s honest about sin, admitting that there is always something wrong with God’s people on this earth (but that we should get too cozy with the idea). We have to be honest about our short-comings and failures if we want God to help us improve. My favorite chapter in the book is on imagination and creativity. As an artist, it’s a topic close to Peacock’s heart and he writes about how as creatures, created in God’s image, we’re given the ability to imagine. But, we have to be careful, for though our imaginations can be used for godly work, it can also be misused for sinful desires. 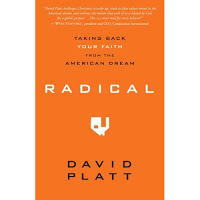 Although he doesn’t call it such, David Platt’s book is a primer against the prosperity gospel. (No, God doesn’t give us riches so we can enjoy and ignore others; such blessings are to be used to help others.) 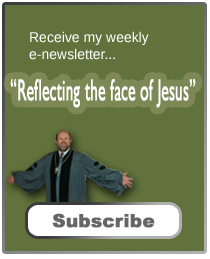 Platt invites his readers to examine their cultural values (that often get mixed up in our own theologies) and to ask the hard questions about what Jesus would really do. At the end of his book, he invites his readers to commit to a one year radical discipleship experiment. Platt is a Baptist pastor, currently serving a congregation in Birmingham, Alabama. In 2005, he was living in New Orleans, where his life was turned upside down by Hurricane Katrina. After losing everything, he and his family had to rebuild. This experience gave them a different outlook on life. Platt also challenges many of the contemporary evangelical tactics (even suggesting the “sinner’s prayer” is superstitious on page 37). His point is that American Christians spend way too much time worrying about individual salvation and never getting around to God’s concerns. Although he doesn’t deny the need of telling others about Christ, he is motivated by the crippling poverty he’s sees around the world and how Christians are so comfortable and affluent in the West and don’t make any serious efforts at helping those in need. Both books provide valuable insight into being a follower of Jesus in the 21st Century.